MobCraft Beer, which crowdsources it’s beer selections, will appear on Shark Tank on March 11th, 2016. Mobcraft is planning to open a brewery and taproom in Milwaukee summer of 2016. Founded in Madison in 2012 by Henry Schwartz, Andrew Gierczak and Giotto Troia, they make some of the funkiest, coolest brews around and the nature of the operation makes many of them one-off creations. The national exposure should be awesome for them. Bavarian Bierhaus Brewpub plans to open spring 2016 on the grounds of the former Bavarian Inn. The brewery will be located in the beer hall and will be able to produce eight different beers at one time. Created as an independent operation after several German breweries declined to move forward. let’s hope the independence allows for some creativity to flourish as we already have Old Town Beer Hall in Germantown and the Old German Beer Hall in downtown Milwaukee which both feature Hofbrau products. It’s worth noting that the Bavarian Soccer Club has hosted an annual Oktoberfest on these grounds for years which served the second tastiest spanferkel in the city (top honors go to this Bunzel’s Meats), so they have a tradition to live up to at this site. Westallion Brewing Co. is planning to open spring of 2016 in West Allis, WI, a southern Milwaukee suburb. Erik Dorfner, brewmaster and formerly with Lakefront Brewery, expects the brewery’s signature beers to be a Scottish Ale, a Vienna Lager, a Pilsner-style and a Hefeweizen, and hopes to offer seasonal and historical beers as well. Enlightened Brewing Company is expanding at their 2018 South 1st Street location in Milwaukee, to open a tap room and increase production space. Hoping to open in spring or early summer of 2016. They have played around with American Wild Ales, Belgian Blondes and a Dark Wheat, but the standard offerings are an American Pale Ale, a Common Ale, and a Stout. Black Husky Brewing, a microbrewery originally from Pembine, WI and brewers of a number of creative spruce-infused beers, will open a taproom at 909 E. Locust St. and convert the building at 2872 N. Bremen St. into a brewery. They will be located in Milwaukee’s Riverwest neighborhood, which is also home to Lakefront Brewery, a tremendous training ground for many of the local brewers in Milwaukee. Third Space Brewing plans to open a production brewery, a tasting room and an outdoor beer garden in summer of 2016 in a re-purposed factory at 1505 W. St. Paul Ave. which is near the Marquette University campus. It will be lead by Kevin Wright, a brewer who spent six years at Hangar 24 Craft Brewery in Redlands, CA. City Lights Brewing is planning on opening in the old City Lights building at 2200 Mt. Vernon Ave. in summer of 2016 with brewery operations separated by a glass partition from the tasting room as well as a special event space and an outdoor beer garden. The historic buildings, which overlook the Menomonee River, were designed at the beginning of the 20th century by noted architect Alexander Eschweiler. First offerings will likely include summer and winter India Pale Ale styles, and a Brown Ale, according to Jimmy Gohsman, brewmaster. Good City Brewing will open summer or fall of 2016 at 2108 N. Farwell Ave. with a 17-barrel brewhouse. Co-founder David Dupee of crowdfunding platform CraftFund, said the brewery will start out at about 2,000 barrels per year, under leadership of brewmaster and co-founder Andy Jones, formerly the plant manager at Lakefront Brewery. The planned line-up includes an IPA, Double IPA, and Imperial Stout variations, and most offerings will be vibrant, hop-forward versions. Pabst Brewing Company new owner Eugene Kashper will try to revive the historical beer recipes with new small-batch beers based on Pabst’s archived recipes. Most, if not all, will be made by other brewers, but a taproom is planned in the historic renovation occurring in the Pabst development here in Milwaukee. The location is reportedly the former First German Mothodist Church on the historic Pabst campus, which had been used by the firm as a community gathering location after the church no longer used the building. It has great history and great architecture so it will be great to see it re-open as a beer hall. Also, the holding company that includes Pabst also includes Stroh’s and Schlitz. It would wonderful to get each of those brands going in Milwaukee once more. Finally, Milwaukee Brewing Company will be taking over the former Pabst warehouse on the same campus, giving them a substantially larger footprint. They offer some of the most innovative brews coming out of Milwaukee right now (I’m looking at you O-Gii!) so a major expansion is great news for the Milwaukee beer scene. I love beer. I love the caramel toasty notes of a rich American amber. I love the coffee and chocolates of a well-crafted stout. I love the citrusy floral notes of pale ale. I love the varieties, the possibilities, the potential. I love that you can smoke the malts and make a beer that tastes just like a perfectly cooked slab of bacon. I love pairing beers so well the flavors swell and swoon. You know what else I’ve decided I love? Beer people. Maybe it’s just here in the Great Lakes region, but beer people have always impressed me as welcoming, warm, open. Theirs is not a passion of exclusivity or a fanaticism steeped in expense. This is not a passion based on the scarcity of a harvest or the limited number of barrels. Beer people want you to love beer. And they are perfectly willing to make as much of it as you would like to drink. This is a passion based on abundance. Let me set the scene. I am sitting at a tasting event next to the folks from Potosi Brewing Company. Across the table are some members of the Milwaukee Beer Society. About 40 people have gathered at The Rumpus Room’s private space, invited by the founders of The Crafter Space. The Crafter Space aims to be craft beer incubator, providing scale-up efforts to home brewers and related brewing industries looking to take the next step. Our event this evening is specifically focused on tasting India Pale Ales, with two certified cicerones who are both Master Cicerone candidates this year, Jason Pratt and Brian Reed from Tenth and Blake. There are nine Master Cicerones in the world. Nine. Jason and Brian are casual, engaging, occasionally beer geeky (we’ll get to the discussion around melanoidins in minute). Tenth and Blake is the “crafty” beer division of MillerCoors. They now own Leinenkugel’s and Blue Moon, and import a lot of interesting European specialty beers. But the tasting tonight will start with one of their beers and then go on to taste three beers from different brewers. They just want us to learn these beers, and to learn to love beer. But the event doesn’t start for a few minutes, so I have a moment to venture over to the main bar of The Rumpus Room. Yes, Sugar Maple and Burnhearts are die-hard beer bars, which raise the standard for Milwaukee, but The Rumpus Room is growing on me. 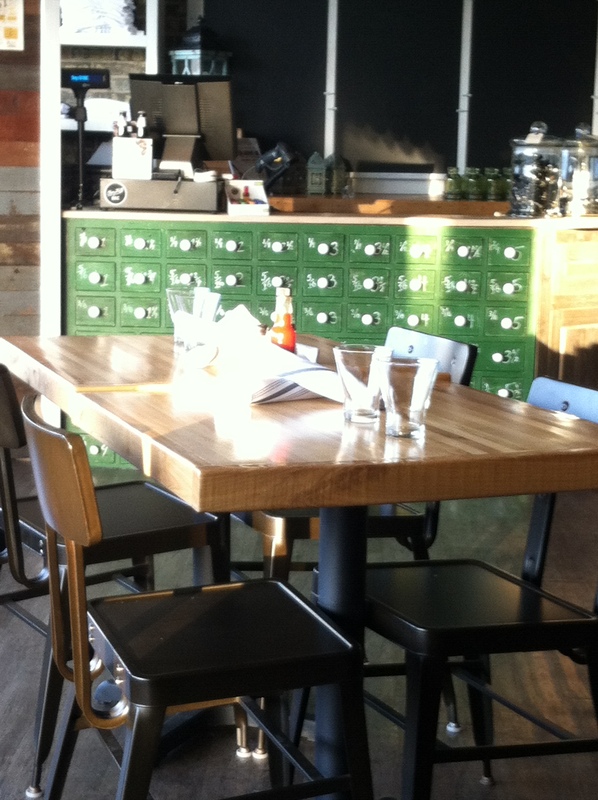 The selection of bottled beers is impressively wide and the tap selections have a little something for everyone. The décor is a polished take on early 1900s bars. I’m ordering a Robert the Bruce from 3 Floyds Brewing Company, a malty, toasty Scottish Ale, because I want to steer clear of any overly hoppy flavors that I’m anticipating in the IPAs. I always taste a bit of cooked fruit in Scotch ales that somehow reminds me of pie. As I return to the private room and sit down to enjoy my beer, we talk about beer and what people do for a living and what stuff people love. I enjoy beer people. I finish my first selection as John Graham from The Crafter Space goes through introductions. And we’re right into the tasting. The first beer is a White IPA from Blue Moon Brewing and the nose on the initial pour is all citrus, beautifully orangey citrus. But the flavor is more crisp, floral flavors. Our cicerones explain that nearly 90% of flavor comes from aroma, and there are two ways we actually detect aroma. Ortho nasal is the aroma we get when we inhale through the nose. Retro nasal is the aromas we detect when food or drink is in our mouth. Right before you take a drink, what’s the last thing you do? You inhale slightly. The air mixes with the drink or the food and flows up into the nasal passages, which pick up different aroma compounds. So the beer can be all citrus on the nose, but not taste like oranges on the tongue. The flavors are predominantly coming from a blend of four different hops, with different mixes added before and during fermentation. This is an easy beer to drink, not overly complex or demanding. Our next beer returns me to 3 Floyds with a bottle of Zombie Dust. John explains that it was actually bottled today. So, yeah, it’s fresh. The guy from Potosi is telling me how much he enjoys this beer, so we cup our hands over our glass, give it swirl and inhale deeply. More herbaceous, floral notes. We sip. “Oh, this is different,” he remarks, “I remember this as being crisper.” Our cicerones explain the beer is as floral as it will ever taste, as those flavors dissipate over time. These are the alpha acids from the hops. As a beer ages, the beta acids from the hops will oxidize and add additional bitterness. So a chilled, slightly older Zombie Dust is going to present as a bit more bitter, more “crisp”. This beer is a bouquet of flavors. The conversation on our next beer goes into another bit of chemical alchemy. We are tasting Bell’s Two Hearted Ale. I have to be honest, I’ve enjoyed Two Hearted many times and never thought of it as an India Pale Ale. The Centennial hops in this beer are balanced with a strong malt flavor which leads to a discussion of melanoidin flavors. “Ah, what are melanoidins?” comes the question from the crowd. Oh yeah, a chance for beer geekery from our cicerones. So you know how sugar, a touch of moisture and heat creates caramels? If you add amino acids to that cocktail, you get melanoidins. This is the same process that creates foundational flavors when the Maillard reaction occurs with proteins. It is this malty flavor of toasted bread which counter-balances the hop aroma. The discussion then turns to year over year variations in the Centennial hop, which is part of the reason brewers blend different hops to create consistent flavors. I prefer the variations. The final beer comes to the table in a carafe, on draft in the main room, Double Crooked Tree from Dark Horse Brewing. This beer is as literal a take on Double IPA as there can be. The folks at Dark Horse have simply doubled every ingredient in the recipe but the water. A Double IPA is not quite that technical in definition. It typically means a higher alcohol level balanced with a bit more bitterness. But Dark Horse felt like it should be literal. I love this beer. For me, this is a heavenly balance of all the floral, herbaceous character of the hops with the deep, rich caramels of the malts. Complex without being over-powering. Beer offers so many different possibilities to combine flavors, styles, and techniques. A tasting like this offers so many chances for learning, conversation, and appreciation. A tasting event like this is a wonderful experience of the emerging trends of Great Lakes Cuisine. We have discussed before the difficulty in parsing what fits and what does not in Great Lakes Cuisine. Hopefully, we have been clear this site is not a review of “The Best of the Great Lakes”, it is specifically not intended as a restaurant review site. We are not claiming an exhaustive list of the best restaurants. We are highlighting a few of the very best examples of an emerging trend in local traditions, local flavors, and local chefs – what we call Great Lakes Cuisine. So, when we added Graze in Madison, WI, it was a praise of style and in no way should be seen as a slight to Tory Miller’s flagship restaurant L’Etoile, one of our all-time favorite restaurants in the Great Lakes area. But L’Etoile is French. Not just in name or in theme, but in the very heart of everything the restaurant does. It feels French, it tastes French. As a genre of restaurant it is most clearly French. 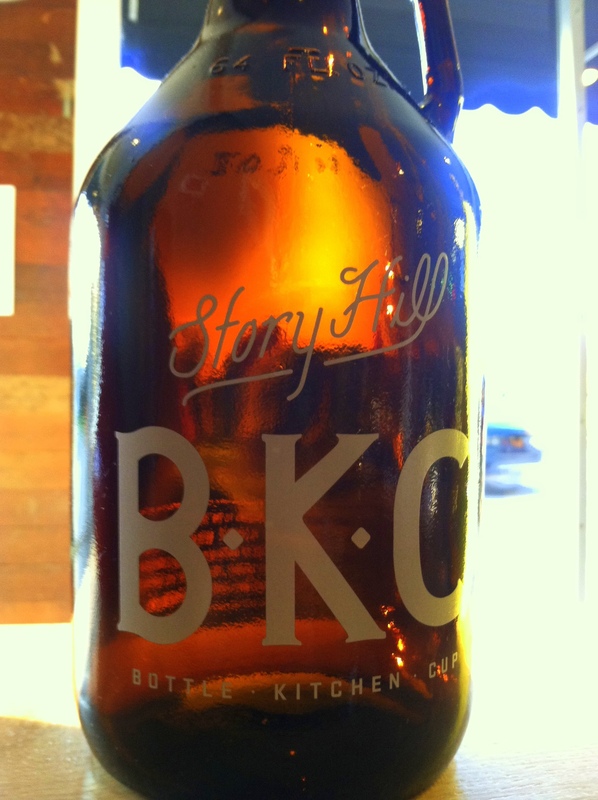 A similar occasion arises once again with the addition of Storyhill BKC, in Milwaukee, WI. The restaurant is the most recent collaborative effort between Joe & Meg Muench and Dan Sidner. We couldn’t be more pleased to have one of their restaurants listed on our site, as their two previous offerings are fantastic, though outside our scope. Maxie’s serves excellent low-country Carolina, Creole, and Cajun cuisine as well as one of the best fresh oyster bars in the city. One might make the argument their other offering, Blue’s Egg, already belongs on our list as they feature a current take on traditional immigrant breakfast and lunch. The food is excellent and the menu creative, but has always seemed more fully “American” diner than specifically Great Lakes. Storyhill BKC is undeniably Great Lakes Cuisine. Here the breakfast can be simple. 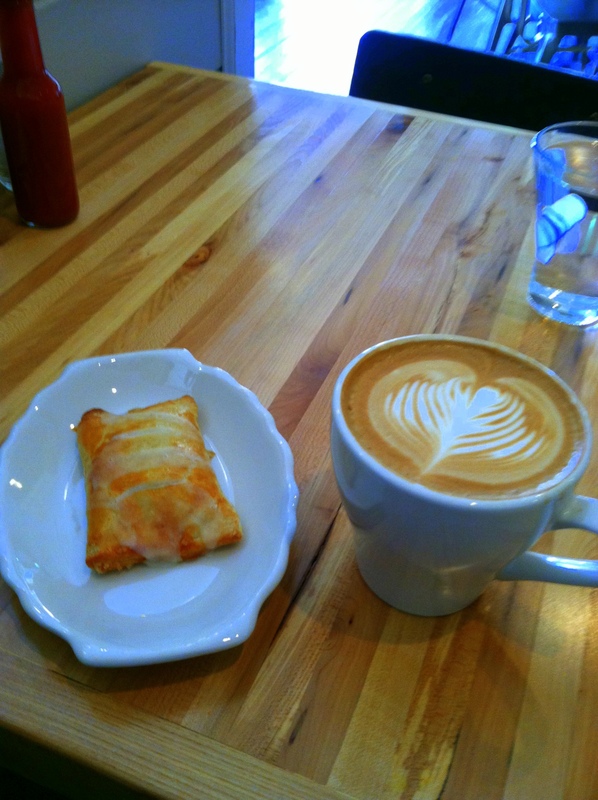 Perhaps just a nice latte and a danish filled with cheese and house marmalade. The lunch menu changes constantly, though the breakfast entrees are served through lunch as well. The dinner offerings provide some wonderful examples of creativity, flavors, and tradition. We could start with recent offerings of Great Lakes Bisque or Steamed Walleye. Perhaps we’ll have the Whipped Clock Shadow Quark, served with pureed carrot, cranberries and spiced nuts. Quark is a unique creamy cheese produced at Milwaukee’s only urban cheese factory, Clock Shadow Creamery (Good story on it here). We can move to entrees such as Lake Superior Whitefish which is ham crusted, or Pork Country Spare Ribs served with sour cabbage, or perhaps Lake Trout with tomato jam. Maybe we should have them carve us a slice of Bacon Wrapped Pork Loin with a Founder’s Apple Rye sauce. Don’t forget to pair your entree with a regional brew such as recent offerings of O’SO Brewing (WI) Don’t Turn My Brown Eyes Blue IPA or Central Waters (WI)Le Petite Morts Bourbon Barrel Weizenbock. The current line-up also features Bell’s (MI), Founder’s (MI), Summit (MN), Potosi (WI), Capital (WI), Ale Asylum (WI), Hinterland (WI), Three Floyds (IN) and more. The space is divided into bar, restaurant, and store. Heavy on the re-claimed wood and friendly service. The menu changes often, but the focus thus far has been on local ingredients, creative presentations, and traditional flavors. We’re pleased to add Storyhill BKC to our Restaurant list at Great Lakes Cuisine.